The figures for the number of installations and capacity installed under the Feed-In Tariffs are given here. 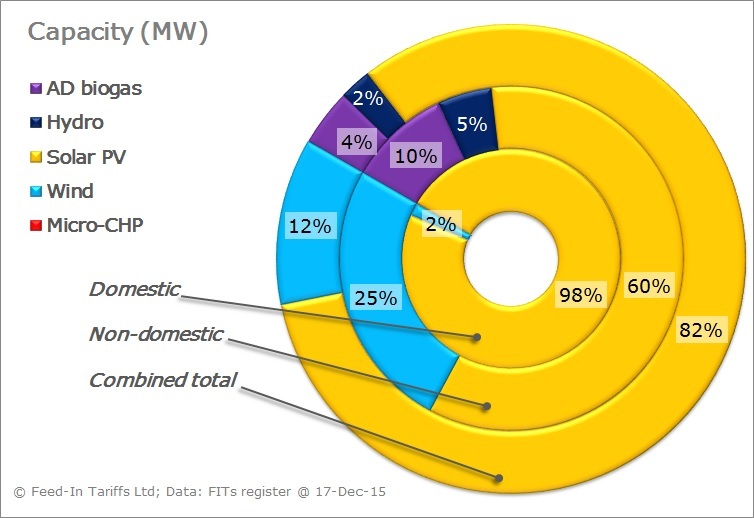 This chart shows the relative capacity of each energy technology. 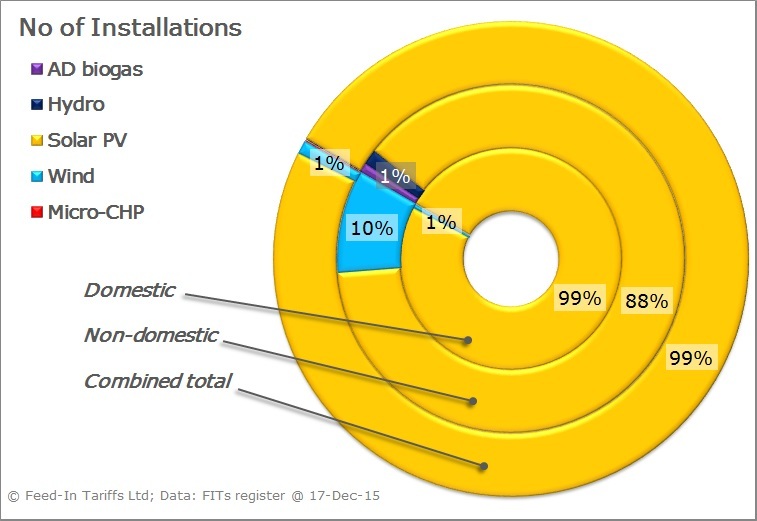 Equivalent figures based on the number of installations is shown below. 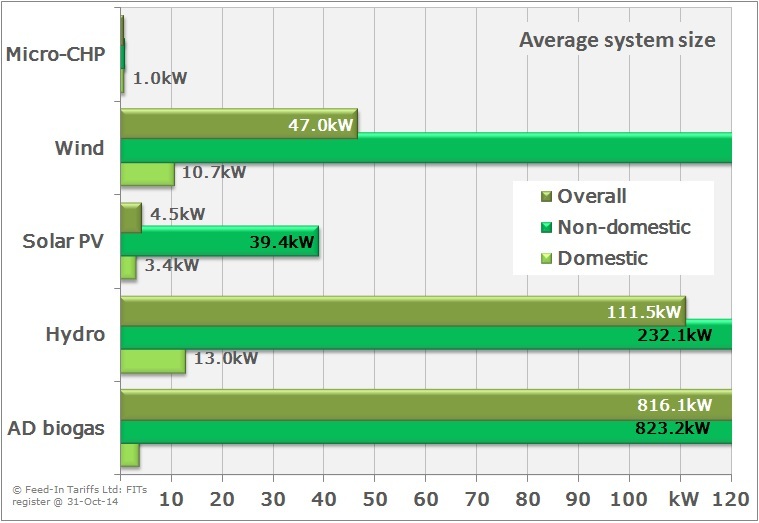 The average size in kilowatts of systems registered for tariffs is shown here for each technology. The pages for each technology (see below) also analyse how much capacity is installed in each tariff size band. Hydro and AD installations can be much bigger than the others, so they go off the scale, but the numbers are shown. We haven’t anaylsed micro-CHP, because it is such a small part of the FITs programme (and it’s not renewable).